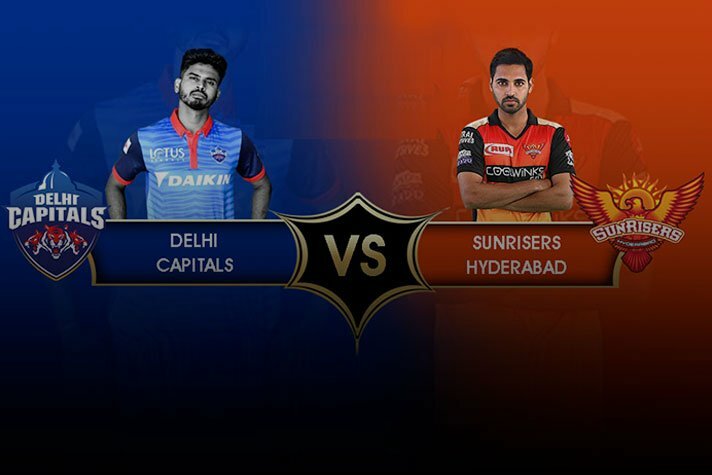 Tonight, the Delhi Capitals will be taking on the Sunrisers Hyderabad in a bid to cement their place in the top 4 of the IPL 2019 table. Delhi currently lie in 4th and a win could take them to 2nd, pending the result between Chennai Super Kings and Kolkata Knight Riders. Tonight’s match will be held in Hyderabad and ES will help you with the tricky Dream 11 Predictions. People interested in Dream 11 predictions will likely have a hard time figuring out the perfect 11. But we have it sorted for them. We will give you an extensive detailed analysis helping you fill up your perfect 11. The Delhi Capitals have traded in Jagadeesha Suchith in place of an injured Harshal Patel. Patel picked up the injury during the match against the Kings XI Punjab. X-rays revealed that he suffered a fractured right hand and the recovery time is estimated to be three-four weeks. Meanwhile, the Sunrisers will be banking on the home advantage to maintain a level of consistency. Sunrisers: David Warner, Jonny Bairstow, Vijay Shankar, Mohammed Nabi, Deepak Hooda, Manish Pandey, Yusuf Pathan, Sandeep Sharma, Bhuvneshwar Kumar, Rashid Khan, Shahbaz Nadeem. Capitals: Shikhar Dhawan, Prithvi Shaw, Colin Ingram, Rishabh Pant, Axar Patel, Chris Morris, Hanuma Vihari, Kagiso Rabada, Ishant Sharma, Jagadeesha Suchith, Sandeep Lamichhane. Out of 13 matches played, the Sunrisers Hyderabad boast of the better record, of nine wins to Delhi’s 4. SRH’s highest score was 191 compared to DC’s 189 and the lowest score is 146 to 80. In 2018, 2014 and 2013, the Sunrisers won both, the home and away games. In 2016, it was Delhi who won at home and away. In 2017, both teams won their home games. In this matchup, Rishabh Pant goes up against Jonny Bairstow, but the Englishman has the edge due to his terrific form. He boasts of a highest score of 114 when he teamed up with David Warner to run riot. On the batting front, only David Warner makes his way onto the Dream 11 list for the Sunrisers, because of his blistering form. The remaining three places are occupied by Delhi batsmen, Shikhar Dhawan, Prithvi Shaw and Shreyas Iyer. 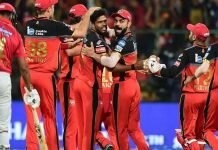 Three all-rounders make the list with Vijay Shankar and Mohammed Nabi from Sunrisers, and Axar Patel from the Capitals. Shankar has amassed a total of 131 runs from 6 matches at a strike rate of 131.00. Nabi struck a total of 40 runs and took 4 wickets as well as having an economy of 5.49. Meanwhile, Axar Patel has amassed 3 wickets with an economy of 6.73. On the bowling front, Sandeep Sharma, Kagiso Rabada and Rashid Khan have been very effective. Sharma has picked up six wickets with best figures of 3 for 19 at an economy of 7.22. Khan has an economy of 5.83 and Rabada boasts of a 7.98 economy. Shreyas Iyer will be the pick for skipper and the ideal second in command is David Warner.